In an effort at further shooting his country in the foot, Venezuelan President Nicolas Maduro has imposed visa limits on all Americans wishing to enter Venezuela. This is to put it mildly one of the most stupid and asinine acts that Maduro has done. 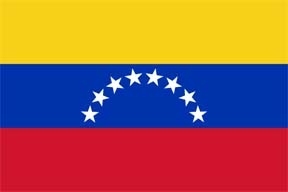 This visa limit will mean that American business personnel will think twice about going to Venezuela. This visa limit will mean that those American corporations already there will simply pull out their investments and assets (that is if they can do so since the Venezuelan government will most likely prevent this from happening). And you can be sure that this will discourage future investment from anyone in the United States. As for American tourists going to Venezuela………………………forget it! There has already been a substantial decline in the number of Americans wanting to go to Venezuela for any reason. Factors such as crime, food and consumer goods shortages, and a decaying infrastructure are keeping tourists from the United States and other countries away from Venezuela. Not only are tourists in general avoiding Venezuela, but many Venezuelans who used to work in the once thriving tourist industry are fleeing the country. With many Venezuelan businesses that used to be attached to the tourist market forced to close due to lack of tourists, many of these people are fleeing Venezuela because they cannot earn a living. With the Venezuelan socialist government imposing price controls and the amount of foreign currency that can be exchanged in the country, it is no wonder why so many Venezuelans are fleeing with what money and assets they have. Now that the Venezuelan government is imposing tourist visas on Americans it will mean that much more of a burden to a country suffering from too many burdens. If the Venezuelan government believes that one of its greatest asserts, oil and natural gas, can “force” Americans to go to Venezuela then the Venezuelan government is living in a dream world. The U.S. government can and will switch to other countries for oil and natural gas to be able to provide for America’s energy needs. All of this leaves me personally sad. I have been to Venezuela, and it is a beautiful country with a wonderful people and is blessed with all kinds of resources as well as cultural and historic treasures. To see this country brought down this badly by corruption, despotism and a government with an extreme agenda is heartbreaking!